Butterbing shares their story of success, and how Ordermentum has helped them with promoting new products, payment processing and made their lives "a whole lot easier". What started in Simone Clark’s home-kitchen just a few short years ago has since become one of Melbourne’s most popular bakeries. With a standard home oven, about $500 in her pocket, and a lot of grit and determination, self-proclaimed cookie enthusiast and passionate baker Simone Clark launched a business she didn’t expect would become such a hit. 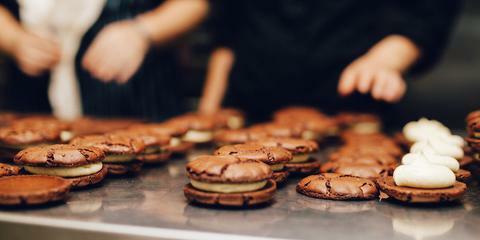 Clarke’s creation, the “Butterbing”, handmade with two fudgy dark chocolate brownie cookies joined together with delicious buttercream in a variety of flavours has earned the title of Melbourne’s best cookie sandwich. Four years on and Simone’s specialty bakery has expanded to employ 18 passionate people and supply about 400 venues across Australia, including Darwin and Perth. Their main customers are specialty coffee venues as well as roasteries, cafes, and little boutique groceries. Despite the positive and unique workplace, and the enormous growth that came from Butterbing’s unexpected popularity, Simone saw that her business still had a few pain points that needed to be solved. One of them was payment processing. “We had a few pain points which were mainly payment processing and anyone who has a small business knows that collecting money can be this really delicate little topic that you don’t want to talk about too much with your customers” she said. Enter, Ordermentum. Ordermentum is an ordering and payments platform that’s specifically built for the food and beverage industry. Its app connects suppliers to retail venues and allows them to take customer orders and payments quickly, tailor pricing, and customise payment terms and methods. One of its best features is the ‘Instant Payment’, which charges customers instantly by credit card, direct debit, or charge depending on the agreed terms. “They [our customers] pay by credit card and that payment happens at the time of order so it’s a really safe kind of experience knowing that you’re going to get your money before the product leaves,” Simone added. Butterbing is continuously growing and with Ordermentum, they have the freedom to showcase their latest range and promote their specials. The new products go to the top and that actually increases their sales when they launch something new. The platform also helps them manage their orders and streamline their processes. What’s more, using Ordermentum has been a big draw card for new customers, “They get really excited when they find out that we’re on that platform and we can actually now use it as a selling point in our sales process” she said. 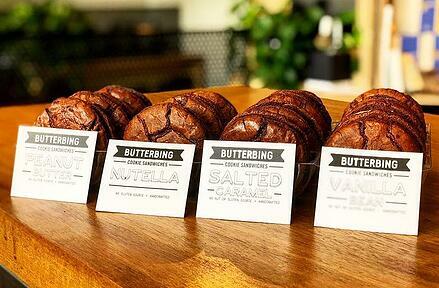 For Butterbing, Ordermentum has helped streamline their payment process and make their work life a whole lot easier. “If you’re considering using Ordermentum but maybe you’re a little hesitant to change something in your company, you can just start off really small.